Hi everyone! I'm still alive LOL XD Sorry for being gone so long, it's been a really crazy month for me. I've been working really hard on my Easter post and I was about half way to 3/4ths of the way done. I was so happy and excited with what I had so far, then Blogger deleted all but a fourth of it. I literally cried (You made me cry you meanie Blogger, I hope you're pleased with yourself! LOL JK). Anyways I have a craft show I'm taking my doll restoration business to and I've been spending all my free time getting stuff ready for that and working on the Easter post. I'm so sorry about the Easter post! But hey! I have something exciting to tell you guys! I got a new doll! Woo hoo! I'm so over the moon about this new member of the ADU family! Oh wait! Did you think I was just going to tell you who I bought? Oh no, instead I thought it might be fun to do something different! We're going to play a game, I took a photo shoot of my new doll, and you awesome people get to guess who it is I bought. 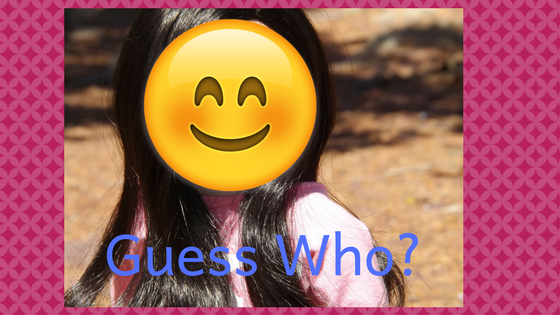 And if you guess correctly you get a shout out in the doll's reveal/review post! Yay!!! So what's the catch? You won't be able to see her face. I wish you all good luck and if you enjoy this game than let me know in the comments! If you like it then maybe we'll do it with future dolls as well :) Let's get to it! Do you think you know who it is? Are there any dolls that are on your wish list? I would love to know! Have an awesome day everyone! Welcome back, Katie! I have no idea what doll she is, but I'm pretty sure that she isn't AG. I'll guess that she's a Maplelea doll, based on the third one from the bottom. Thanks so much Rose! So glad to be back :) Oooooooo awesome guess! Maybe.... Great guess!! :D Did you enjoy your camping trip? Thanks :) you're awesome to chat with <3 Did you get your doll yet? I can't wait to see her! Oh, she's lovely! I think she's a Maplelea Saila-she looks great in glasses. My only guess is that she's not Ag. But..... beyond that I don't know! Okay, Katie you'd better reveal her soon, before I go insane!